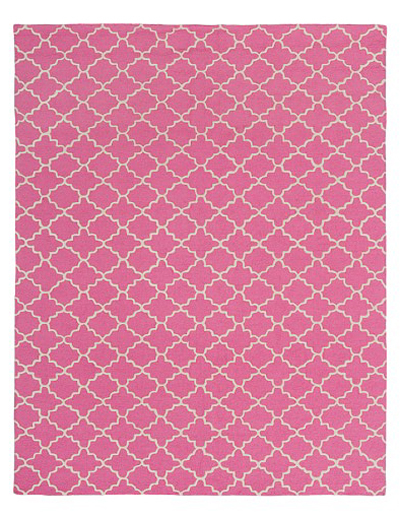 Add color and comfort underfoot with this versatile trellis rug. Tufted by hand, the Bright Pink Addison Rug sets the stage for a well-designed room with the perfect pairing of pattern and color. $149-$699. Buy here.